First of all it is worth emphasizing physical security of a camera of Pentax Optio WG-2, despite its compact sizes and small weight. The camera easily transfers immersions to water on depth to 12 meters, besides, it perfectly works in cold weather: with its help it is possible to do pictures at a temperature up to-10 degrees. It is also necessary to note that the chamber remains in working order even after falling on a firm surface from height of 1.5 meters. 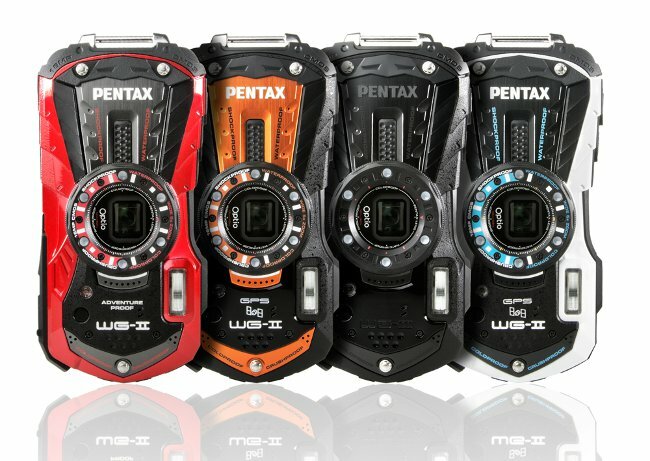 The Pentax Optio WG-2 camera has a 1/2.3-inch CMOS sensor with the resolution of 16 Megapixels. It is necessary to tell that such type of sensors is used, as a rule, for SLR cameras that speaks about high quality of pictures. Also at a chamber there is a 5-fold optical zoom which will allow to remove close ups from distance. ISO photosensitivity in the camera can be regulated in the range from 125 to 6400 that will be enough for shootings as at a bright sun, and in the evening. As for the range of excerpts, in this model it quite big: from 1/4000 to 4 seconds. The chamber surpasses the budgetary digital cameras in this parameter. Still It should be noted quite powerful built-in flash capable to cover objects of shooting which are located at distance to 5.4 meters. Also new camera received the high-quality LCD display which diagonal is equal 3 inches. The screen not too bright, however a corner of its review is rather wide. In a chamber there is built-in macrolight which quite not bad smoothes shadows, however it is impossible to call it very powerful. Separately it is worth talking about possibility of shooting of video in the Full HD format (1920х1080 pixels). Not so many compact cameras possess such function. Nevertheless settings in the mode of shooting of video not so much: it is possible to enter an expokorrektion, to adjust balance white and to activate the image stabilizer. The functionality of a chamber included possibility of programming of keys that significantly saves time of switching of the modes of shooting. Besides, this model is capable to define to 32 persons in a shot, and also to make automatic descent of a lock at detection of a smile upon the face of the person who is in a shot. The camera has lithium - the ion accumulator with a capacity of 3.5 of Vtch who is enough for 250-330 frames. Level of a charge of the accumulator displays the three-segment indicator therefore it is impossible to call it exact. Negative side of the accumulator is possibility of recharge only by the "native" device as the chamber is intended for shootings in backpackings where for recharge of gadgets use special mobile USB charging and solar batteries. In turn, it is necessary to refer unusual design, case durability, a powerful fixing belt with a carbine which goes in a delivery set to merits, also important role is played by the good display and the programming system of keys. Finally it should be noted that at this model there are a lot of competitors, among which: Nikon Coolpix AW100 and Canon PowerShot D20. 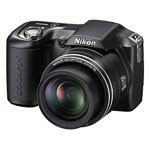 These cameras possess more exact automatic detection of balance white, and in Coolpix there is even a built-in world map. 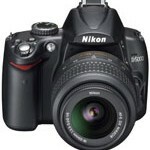 D5000 Digital camera D5000 camera — is the powerful universal camera allowing to make high-quality photos and videos D-movie with a sound. 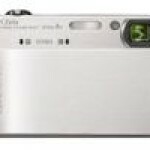 DSC-T900 Digital camera Such thin and stylish - and fantastically convenient. The chic and grace are added with very big touch screen with high specification.